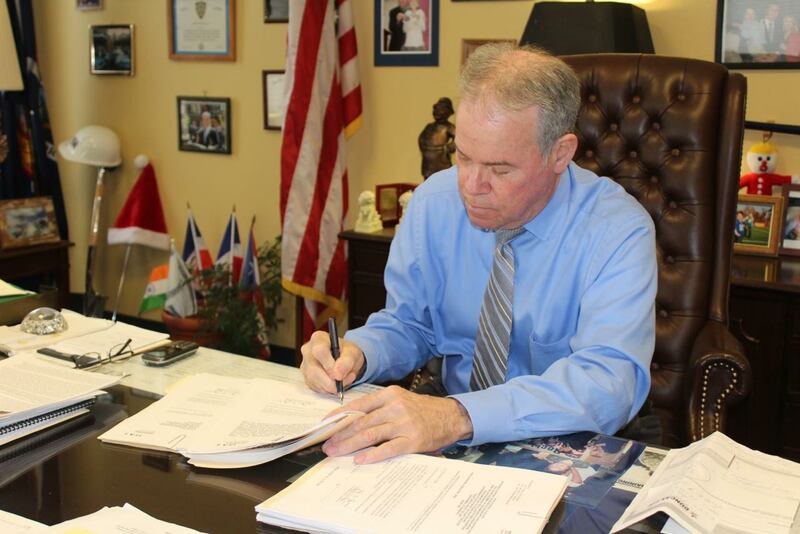 New City, NY – Rockland County Executive Ed Day signed a resolution authorizing the county to bond $2,300,000 to be expended towards the replacement of the Samsondale Avenue Bridge over the CSX Railroad in the Village of West Haverstraw. The Rockland County Legislature recently passed the bond resolution and three other resolutions relating to the project. D’Amelio also thanked the Rockland County Highway Department for working with the Village to design a visually appealing bridge. “Not only will the new Samsondale Avenue Bridge provide a safe thoroughfare for pedestrians and vehicles, it’s going to be a very beautiful landscape feature in West Haverstraw.” Mayor D’Amelio intends to add decorative banners and flowers when the construction project is complete. The Samsondale Avenue Bridge was closed off beginning Monday, April 2, 2018. The bridge is scheduled to temporarily re-open on December 1, 2018, and stay open through the winter. Work on the bridge will be completed by June 1, 2019. “This project…comes at minimal cost to our taxpayers,” Day explained, as the bulk of the cost is eligible for reimbursement by the federal transportation authorities and much of the rest by the state. County taxpayers will pay 10 – 15 percent of the total cost. concluded County Executive Day.